Hello… Can I Listen to You? It’s widely understood that having good listening skills are a critical and essential skill in business and in everyday living. As a general observation, it’s not difficult to find pundits offering opinions on how the public’s average attention span is becoming noticeably shorter due to the constant access and exposure to multimedia, Internet and converging technologies that brings that entire stimulus within arms reach of computers and mobile devices. What prompted me to write this post was a management meeting that I’ve attended recently. We’re working on a project that involves deploying a mission-critical system that will control the company’s entire trucking logistics process. We were discussing the project’s status diving into the budget review and remaining deliverables pending go live when I noticed one person, who manages a specific area of the project, was clearly not paying attention as this person kept checking their cell phone. As the meeting progressed, it came time for that person to offer their opinion on the project and to address what areas of concern that they wanted to communicate. The person was clearly taken off guard as the surprised look on their face was clearly evident. As I watched this person give a poorly delivered update trying to recover and get back into the meeting, I thought to myself that this person would have spent far less energy paying attention during the meeting with active participation as opposed to recovering from a lost opportunity. From a group dynamic perspective, getting caught in situations like that puts a strain on your perceived value and dedication to the cause at hand. In addition, there is a possibility that people would be less inclined to engage with you if they perceive you as not being focused or ”invested” as a professional. Former Chrysler Corporation CEO Lee Iacocca was quoted on the importance of listening skills saying the following, “I only wish I could find an institute that teaches people how to listen. Business people need to listen at least as much as they need to talk. 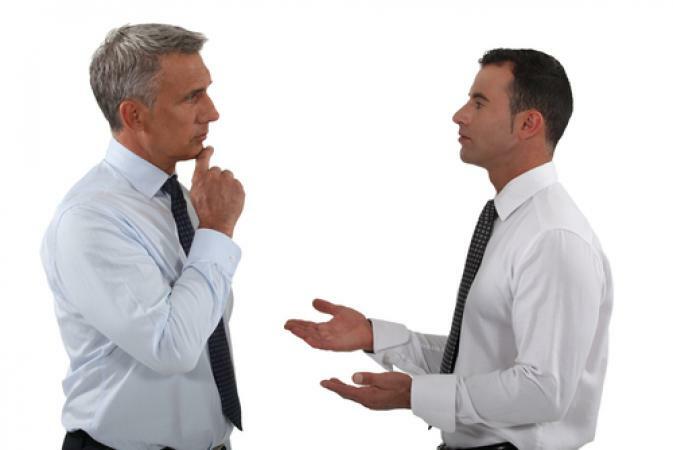 Too many people fail to realize that real communication goes in both directions.” As such, I thought to offer the following action items to help improve listening skills. A major issue in having a conversation is that the average person can think approximately 500 words a minute whereas the average speaking rate can produce around 150 words. Such a difference in the amount of words being generated can cause the listener’s mind to wander off during the conversation. To stay focused on the speaker and what that person is saying try listening to every single word and the entire message that the person is saying before responding. If you jump the gun and fill the gap in the amount of words with your own thoughts you might possibly miss the context of which the speaker is talking about. Critical to all conversations is being in an environment that is conducive to listening. Being in a location that is full of distractions such as radio playing or an intense amount of white noise in the background tends to reduce your ability to stay focused on the individual doing the talking. As a listener, it’s as important to be in the right frame of mind to pay attention and focus on the speaker. If you’re fatigued, stressed out or engaged in some activity while you’re listening to the speaker will absolutely minimize your ability to comprehend the speaker’s content as intended by the speaker. The majority of all communication is nonverbal. Focus on the speaker’s posture. Is the speaker relaxed or showing signs of anxiety? Does the speaker make eye contact? Does the speaker’s tone match the words they are using or the content of their message. Basically, is there a correlation between the verbal and nonverbal communication. To put listening skills in perspective try to imagine how you felt when someone you’re talking to is focused on what you are saying compared to times where your listener is obviously not paying full attention. We all found it frustrating to have a conversation with someone that is not paying attention resulting in not understanding the context of your messaging. Based on your own speaking observations adjust your listening skills accordingly to maximize listening and comprehension. From a globalization perspective, interaction with people from different countries and cultures is becoming ever more prevalent. All human beings are a product of their upbringing. As you are listening, tried to remain open to what you are hearing without evaluation or judgment. Asking questions or paraphrasing what the speaker is saying is an excellent way to affirm understanding and to give the speaker acknowledgment that you are paying attention and giving them the audience that they expect. Also, during the course of the conversation, giving cues that you are actively listening such as nodding your head, making eye contact and the occasional verbal “I see” are all excellent ways to improve listening and foster a connection between you and the speaker. Communication is a bi-directional process. However, more value and appreciation can be achieved by putting more emphasis on listening than talking. Brushing up on the basics from time to time can be an eye opener.